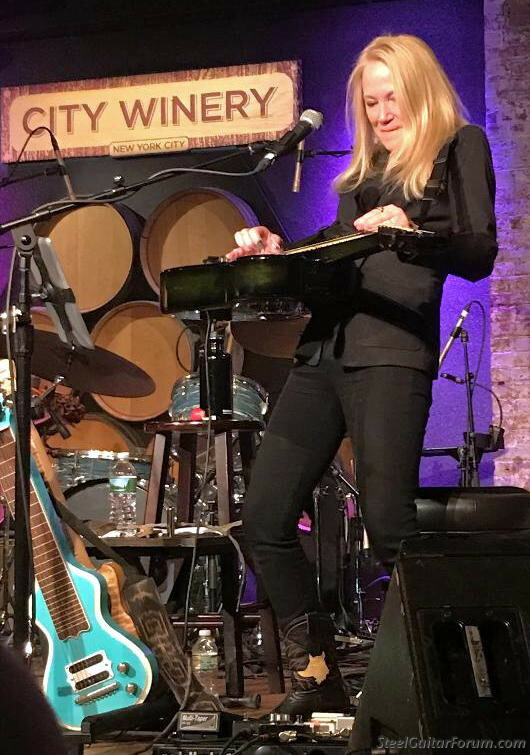 As many of us have followed Cindy's steel guitar journey throughout the years, we have seen her steadily grow, improve, and mature in her playing.....IMO she's The First Lady Of (non pedal) Steel Guitar and a treasure to our world. in the bottom photo was made for her by Asher. Little detour: Funny Story about the city winery. Years ago I worked for a company called comet systems with a very young 25 year old entrepreneur who leased the entire building for our headquarters because he thought it be cool to put a sign on top that said Comet while people where in traffic waiting to get into the tunnel to new jersey. It was the old el diario spanish language newspaper building and it was a compete wreck. He spent most of the money renovating the top floor while we slaved away in the basement. When the renovation was done, he didn't have enough money to renovate the bottom, so some guy asked if he could store his wine there. When Comet finally went out of business, or got bought, that guy turned it into the city winery. I still haven't been there since it opened. Okay, back to your regularly scheduled thread. 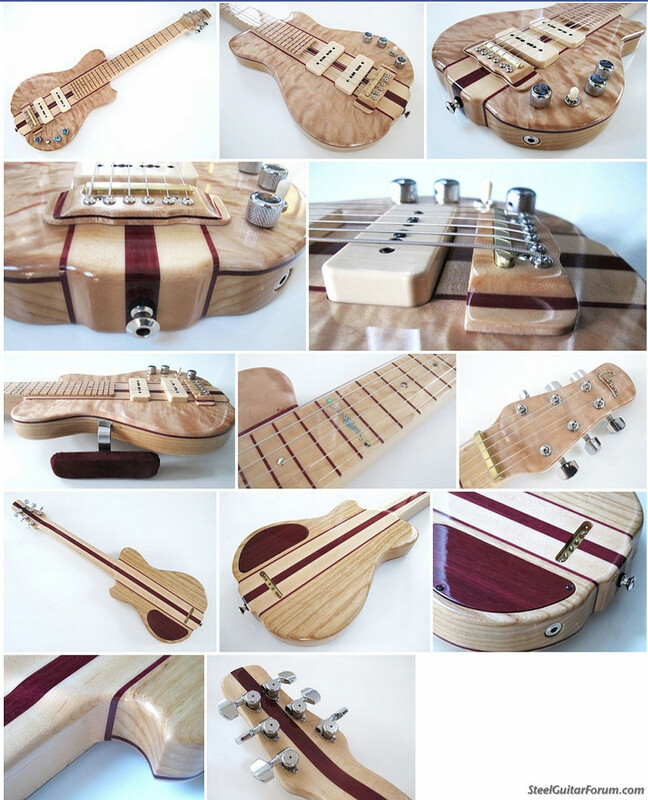 The steel in the first picture appears to be the gorgeous guitar built for Cindy by her husband, luthier Harvey Citron. They were gracious enough to show it off to me after a show up here. When she lived in Austin we were able to hear her play so many different instruments and styles with various local artists. She was always at the top of her game, never a false step. Man, I wish she was still here but I'm thankful for the time she was. Every gig was a clinic. I really enjoyed her playing with Redd Volkert. This is Cindy's Citron steel. Larry and Theresa are amazing too and very nice folks.. Thanks for the pics Howard and Jon. What a beautiful lap steel. I was hoping to go but couldn't break away on Monday night. City winery is a nice venue, the last show I saw there was The Time Jumpers, and Mr. Light was there as well. Yes indeed Craig! I remember seeing you there and of course I remember the evening with the Time Jumpers. Such a great show. I regret not coming down for this Larry Campbell event. There is such a long list of things I could point to in Cindy's playing and musicianship where I could say "THAT is why I admire her so much". She does stuff that I always believed was owned by pedal steel. The ringing strings, the lush fat tone. She first introduced me to this type of lap steel playing on Ryan Adams's Magnolia Mountain. And she brought me back there with this show here in Woodstock last spring. I came out to this guy's CD release show because Cindy was playing. I just happened to be trying out my (crappy) phone cam from the balcony when this happened. My goal in life now is to play so pretty that the headliner has to stop and gather his/her wits. Great clip Jon, too funny, yeah that doesn't happen often, I'm sure! Hope you are enjoying your new life upstate. 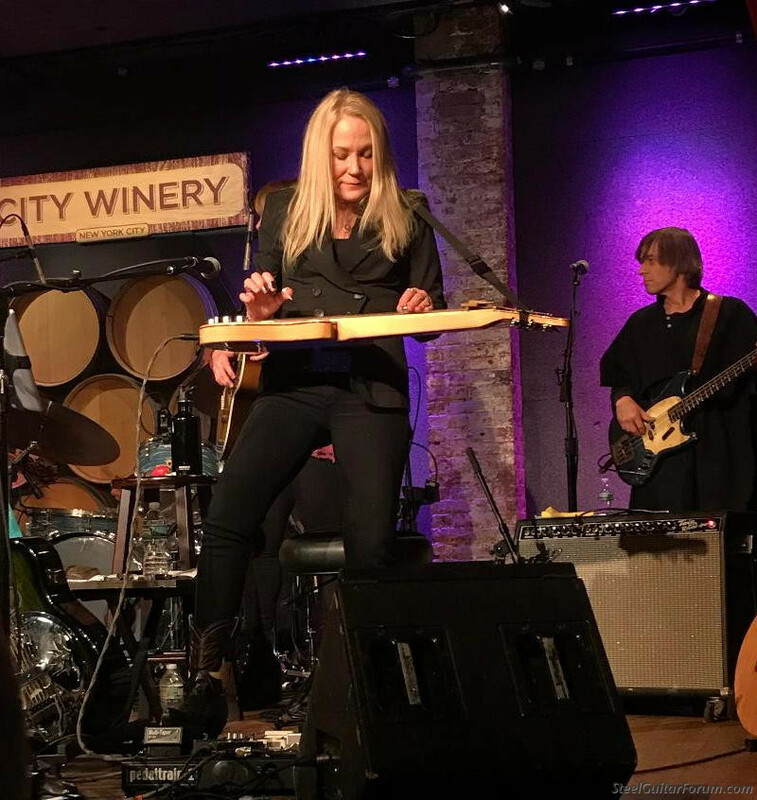 We've got tickets to see Cindy and Amy Helm this Friday at Levon's barn. Great clip, Jon. CC is amazing. Stu Enjoy that show, tell her I say Hi!